Biological sensing is a fundamental tool for understanding living systems, but also finds practical application in medicine, drug discovery, process control, food safety, environmental monitoring, defense, and personal security. Moreover, a deeper understanding of the bio/electronic interface leads us towards new horizons in areas such as bionics, power generation, and computing. Advances in telecommunications, expert systems, and distributed diagnostics prompt us to question the current ways we deliver healthcare, while robust industrial sensors enable new paradigms in R&D and production. Despite these advances, there is a glaring absence of suitably robust and convenient sensors for body chemistries. This book examines some of the emerging technologies that are fueling scientific discovery and underpinning new products to enhance the length and quality of our lives. Anthony P.F. Turner is currently Head of Division FM-Linköping University’s new Centre for Biosensors and Bioelectronics. His previous thirty-five year academic career in the UK culminated in the positions of Principal (Rector) of Cranfield University and Distinguished Professor of Biotechnology. Professor Turner has more than 600 publications and patents in the field of biosensors and biomimetic sensors and is best known for his role in the development of glucose sensors for home-use by people with diabetes. 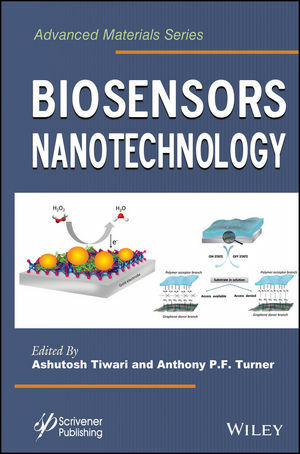 He published the first textbook on biosensors in 1987 and is Editor-In-Chief of the principal journal in his field, Biosensors & Bioelectronics, which he co-founded in 1985.